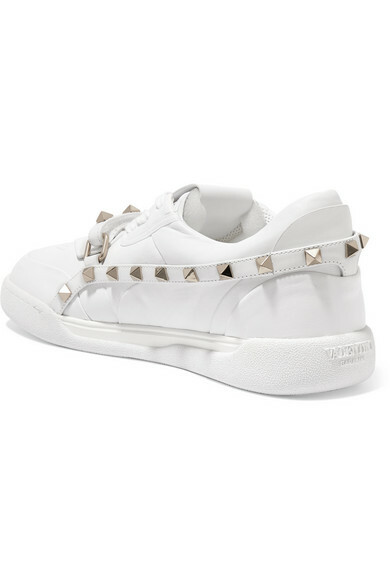 Valentino Garavani's 'Armor' sneakers are traced with bands of signature 'Rockstuds'. They're constructed in an '80s-inspired silhouette, fastening with laces and slender Velcro® straps. 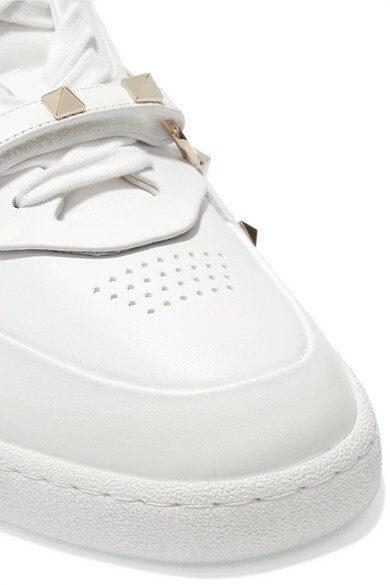 Wear yours with mini hemlines to show off the embossed logo at the heel. Shown here with: R13 Blazer, R13 Shorts, Les Rêveries Top, LOW CLASSIC Bucket bag, Sophie Buhai Ring.